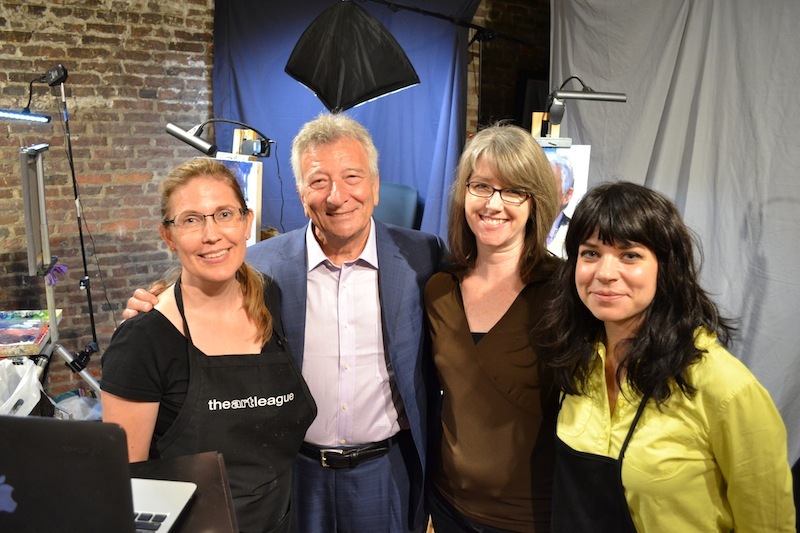 We were thrilled that so many were able to join us (both in person and online via the three live streams) for the Face Off live painting event on Friday, August 8. 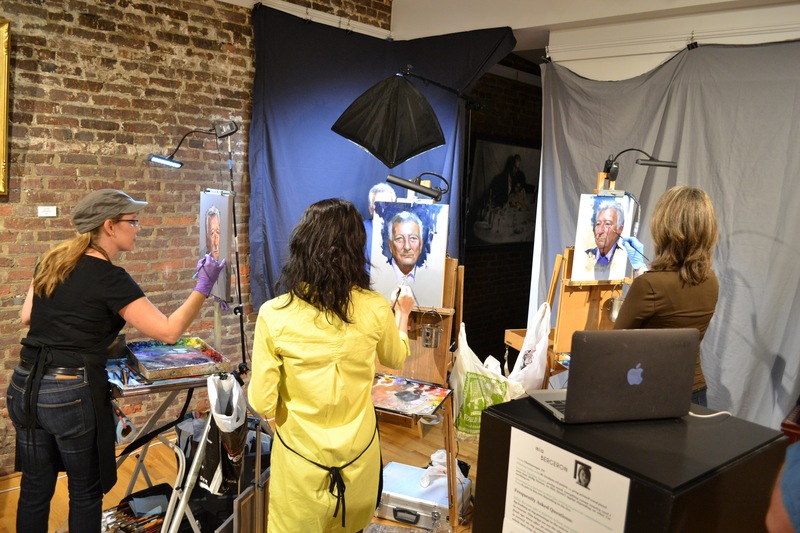 With three talented painters faced with the nerve-wracking task of painting a portrait from a live model in under three hours (and in front of an audience!) it promised to be a memorable evening…and it certainly didn’t disappoint! 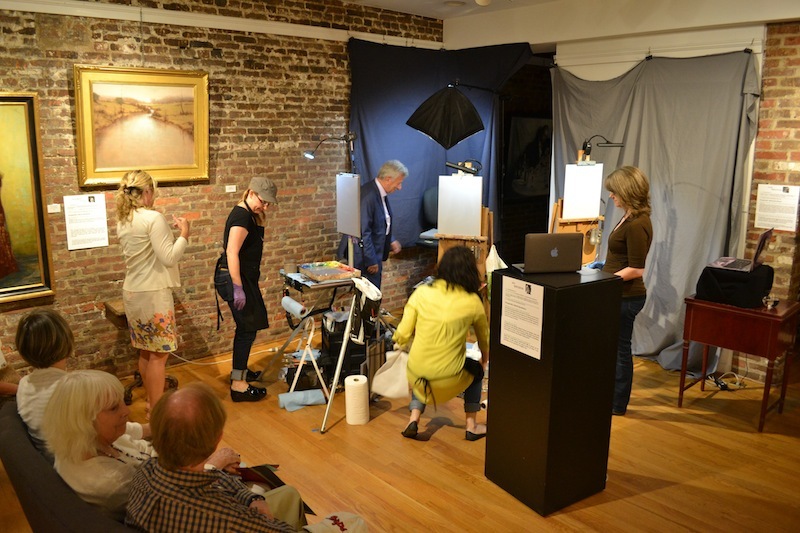 Mia Bergeron, Cindy Procious, and Elizabeth Floyd set up their paints and easels in the gallery, we covered our big skylight to give the space just the right lighting, and local restauranteur Franco Landini of Landini Brothers acted as our live model. With a webcam pointed at each of the three canvases, we were able to share the experience live via the internet as well! And it was an experience well worth sharing, as each of the three canvases gradually came to life, the painters creating a remarkable painted likeness of Franco’s face, each with their own unique style. A great number of visitors to the event stayed through the majority of the three hours. It was pretty fascinating to watch the three artists work, and to watch Franco’s portraits come to life. All three artists praised Franco’s abilities as a live model, and he was certainly impressively still over the course of the three hours! When time was finally called, it was amazing to see three such incredible portraits, each different but each a great likeness, and all finished in such a short amount of time! The Face Off is always a fun and exciting event, and the 2014 Face Off was one of the best ones yet. 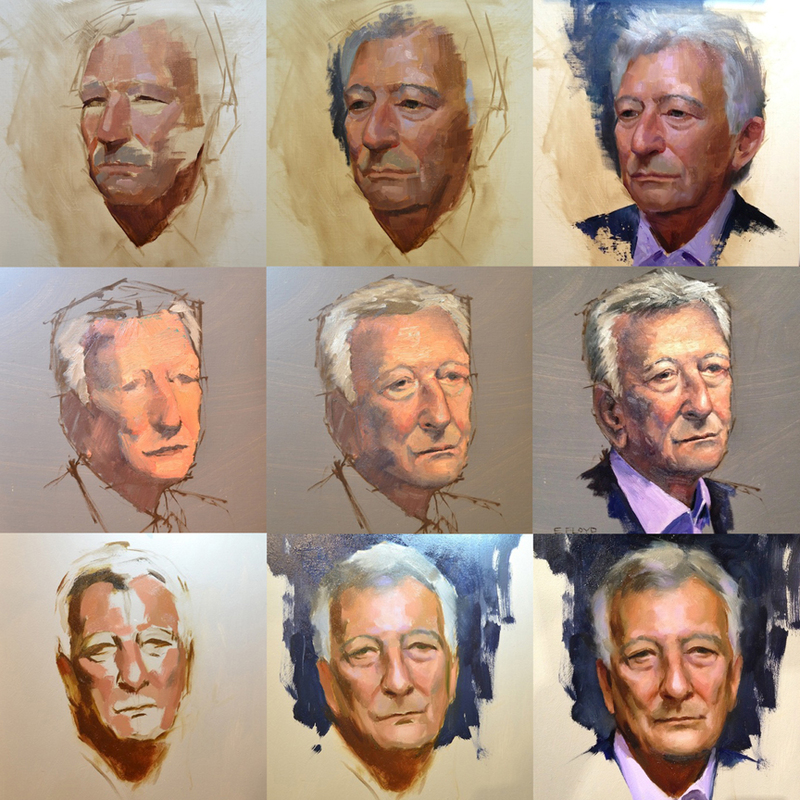 Be sure to check out our YouTube channel to see the full footage of all three live streams from that evening, along with a time-lapse version of each artist’s portrait, from beginning to completion! Watch them all here.